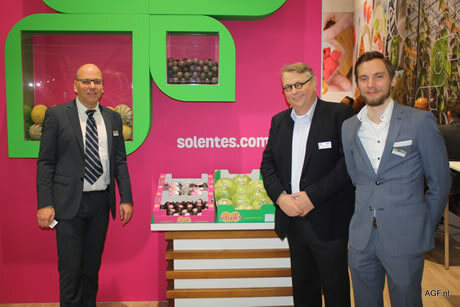 Eight years ago during the Fruit Logistica, Hagé International introduced the Solentes brand for selling exotics and ready-to-eat fruit. The import branch of The Greenery has now started doing their own ripening, and the brand has been completely rebranded. “We’ll start by carrying mangoes and avocados under this brand. As of May, the first ready-to-eat mangoes and avocados will be available under this brand,” says Frans Timmer. In its new DC, Hagé moved into some of their own ripening chambers, and additionally, they have a logistical partner who also takes care of ripening. Yet the Solentes brand won’t just be meant for exotics. For example, Spanish outdoor vegetables will now also be carried under this brand. “We’ve noticed there’s a need on the market for a strong brand with a consistently high quality and guaranteed availability. With our Solentes brand, we want to build a future-proof brand,” Frans concludes.